There is an old strategy used in it as well...pointing at others, so own dilemmas can't be seen. Seems to me as miserable direction(governing affairs) was chosen as the way to forward for the state of the Israel...Israel is wayyyy too small(non significant) to impact with unfriendly approach any European state of which nations tend to stick together against external enemies and is therefore setting itself with its mischievous conduct further and further apart even from friendliest nations such as Polish. Verdict for present Israeli politic: You do not understand this part of the world even a bit and silence(non response from this side) kills more than what you possibly can imagine. You are gathering(uniting own historical enemies with traditional friends in most important part of the world) clouds over your head without even realizing. Its only news as seen here we see lately...too damn bad...Israel took HUGE economical advantage in this part of the world via investments...according to Netanyahu's own words(concerns investments Czech, Slovakia, Poland), "we will lose some of that money in the future as we did pressed to much to get deals through, but thats okay"...looks like its more in game than just about money. Sure was very personal with your presence Netanyahu. My genocide case(seen by all European nations between 1996 and mid 2006 just how you have gone against me along with Russians just for my existing) goes against state of the Israel as well...DIVIDING PEOPLE IN THEIR OWN COUNTRIES PER WHO THEY ARE AND HOW THOSE SHOULD FEEL ABOUT THEIR NATIONALITIES AND LIE(misrepresent people) IN FRONT OF INTERNATIONAL COMMUNITY ABOUT OTHERS AS THE CASE WAS WITH ME(still is as is engaging in censorship on google and Facebook) WILL NOT TAKE YOU TOO FAR...it didn't in my case. According to the poll, 49 percent of respondents have an “unfavorable” impression of Poland (of those 33% said “somewhat favorable” and 16% “very unfavorable.”) Thirty-seven percent had a “somewhat favorable” view of the country, and only five percent “very favorable.” Nine percent had no opinion. Once presented with a number of “facts” about Poland — such as the government’s condemnations of Hamas rocket attacks, the very low number of anti-Semitic incidents there, the absence of an organized effort to boycott Israel, and the rapidly growing economy — respondents’ attitude toward the country significantly improved. At the end of the survey, they were asked again about their views, and more than three-quarters (76%) now had a favorable perception of Poland, while only 19 said they still have an unfavorable view. 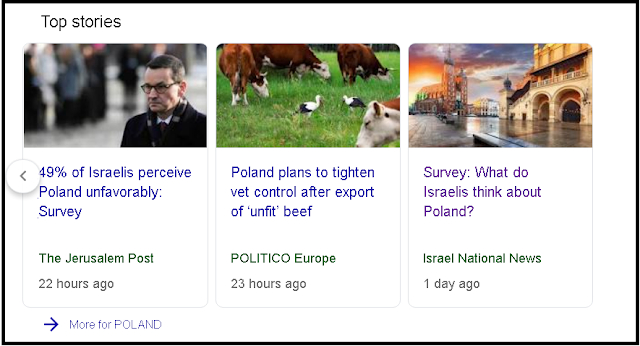 The survey, conducted by the Jerusalem-based Keevoon polling company, also sought to understand how Israelis view Poland’s role in the Holocaust. The issue of Polish complicity in the Nazi genocide of the Jews has recently been a major sticking point in bilateral relations, after the Polish government passed a law last year prohibiting people from blaming the Polish nation for Holocaust atrocities. 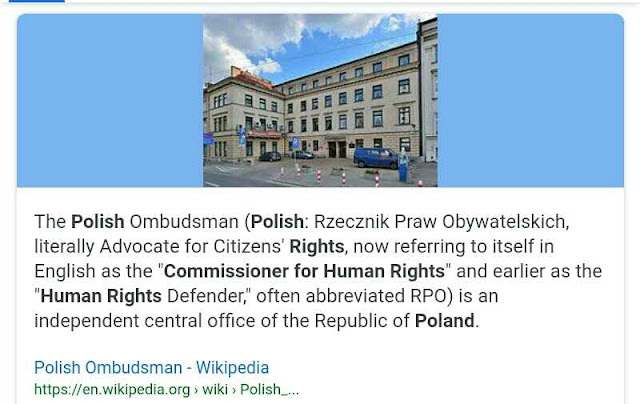 The law was heavily criticized in Israel and elsewhere, which led Warsaw to amend the law, making such claims no longer a crime punishable by prison. Israel and Poland also issued a joint statement that many Israeli historians condemned as inaccurately adopting Poland’s narrative of the Holocaust. The poll, which was conducted in December among 1,027 Israeli adults, and has a margin of error of 2.15 percent, did not ask specific questions about the joint statement. The survey did find, however, that most Israelis (65%) think bilateral relations should focus more “on the present and the future, including trade relations and support for Israel.” Only 23% said Israel-Poland ties should focus more on the past, including the two nations’ common heritage and the Holocaust. “Over the last few months we’ve been mostly talking about history, which is inescapable,” said Magierowski‏‎. “We’ll always be talking about history. We’ll always have these historical links, between Poles and Jews; these 900-plus years of common history of Jews living in Poland, and the tragic six years of World War II and the Holocaust, which was perpetrated mostly by the German Nazis, unfortunately in occupied Poland,” he added.